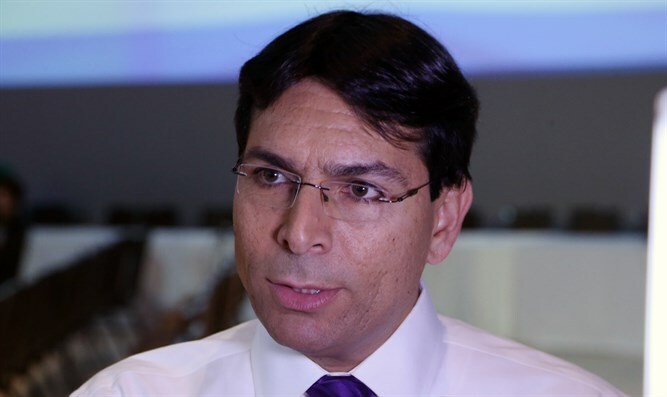 Israel’s Ambassador to the United Nations Danny Danon reacted to the UN Human Rights Council votes against Israel at the end of its 37th session on Friday. The council passed five anti-Israel resolutions addressing "human rights in the occupied Syrian Golan," the "right of the Palestinian people to self-determination," the "human rights situation in the Occupied Palestinian Territory, including East Jerusalem," the "Israeli settlements in the Occupied Palestinian Territory, including East Jerusalem, and in the occupied Syrian Golan," and "ensuring accountability and justice for all violations of international law in the Occupied Palestinian Territory, including East Jerusalem." In contrast, two resolutions against Syria and one each against Iran and North Korea were passed by the council. “These actions against Israel are hypocritical and cause irreparable damage to the cause of those who truly care about real human rights violations around the world,” said Ambassador Danon. “We are working closely with our friends and allies and together we will put an end to the absurdity that this Council represents,” the Ambassador concluded.